Glad to be part of the forum. 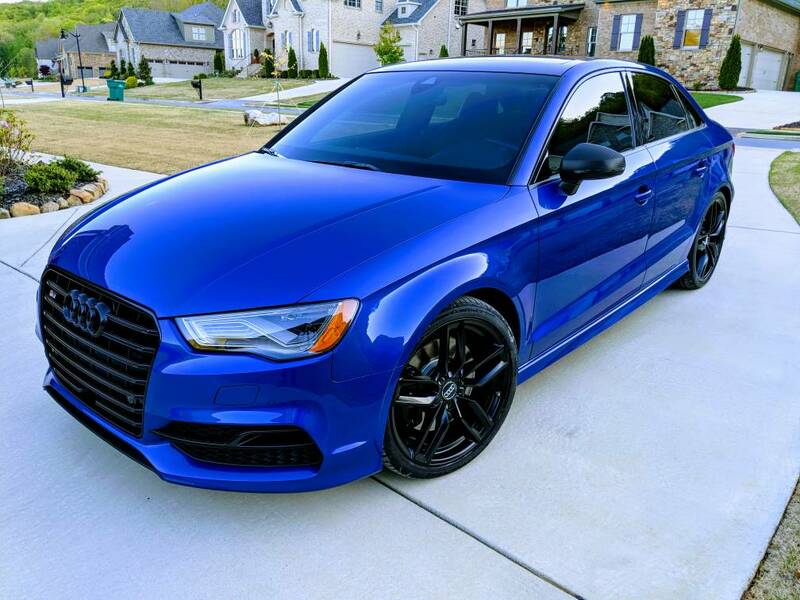 2016 S3 Sepang Blue, APR Stage 1 ECU/TCU, APR cold air intake w/ oil catch can, APR turbo intake. Blacked out the car by powder coating the stock wheels, painting the grill and emblems, and vinyl wrapping all silver trim.